Full-length, A-line gown with tulle skirt. 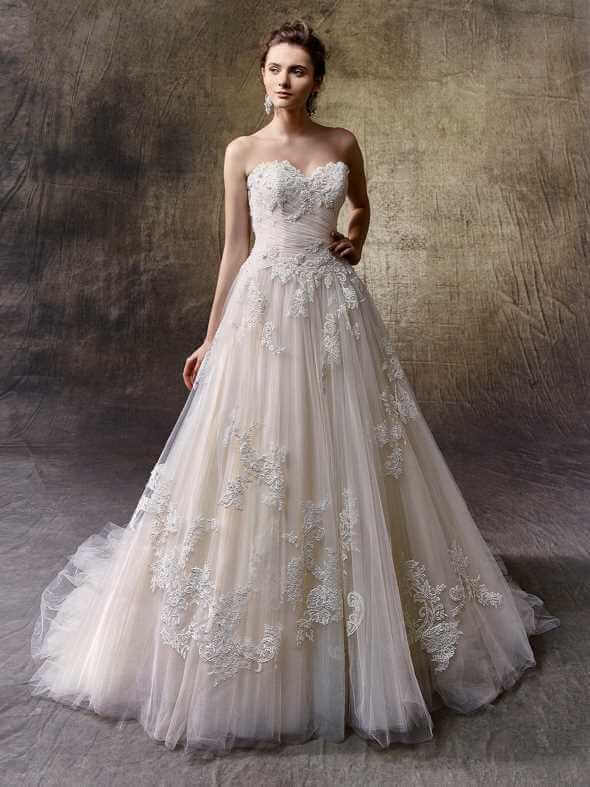 A softly ruched tulle, strapless sweetheart neckline bodice is adorned with gorgeous beaded Guipure and Chantilly lace. Crystal buttons trailing along an invisible back zipper closure provide the delicate finishing touch.